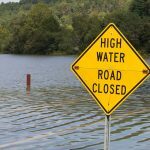 The 2018 Commonwealth of Pennsylvania State Hazard Mitigation Plan Update has earned Approvable Pending Adoption (APA) status from FEMA Region III. Please find the approved plan here. Individual chapters and appendices can be downloaded through the links below. If you have any questions, please contact Ernie Szabo at erszabo@pa.gov or Sarah Bowen at sbowen@mbakerintl.com. 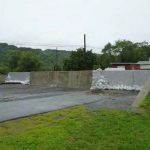 PEMA is pleased to share examples of successfully implemented natural hazard mitigation projects throughout Pennsylvania in order to assist or encourage other communities in reducing or eliminating the effects of natural disasters. Please click here to view the floodplain management and mitigation success stories web page and learn about these projects. If you have a mitigation success story to share, please do so here. 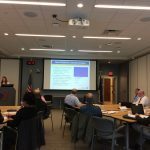 Thank you to everyone that reviewed and commented on the draft 2018 State Hazard Mitigation Plan Update and participated throughout the planning process. After addressing all questions and comments that we received, the plan was submitted to FEMA for review on June 29, 2018. To view the updated version of the plan that was submitted to FEMA, please click here. Individual chapters and appendices can be downloaded through the links below. If you have any questions, please contact Ernie Szabo at erszabo@pa.gov or Sarah Bowen at sbowen@mbakerintl.com. Please note that this meeting was moved out slightly from the original schedule; there will not be any Hazard Mitigation Plan meeting on April 18th. To RSVP for this meeting, please complete the following form. Throughout the planning process, there will be opportunities to provide input and to review documents on our project website at: pahmp.com. We hope that you will join us on May 23rd and look forward to hearing from you. Please contact Ernie Szabo, PEMA State Hazard Mitigation Planner, at erszabo@pa.gov or (717) 651-2159, or the Consulting Project Manager Sarah Bowen at sbowen@mbakerintl.com or (215) 430-5517, if you have questions or comments.